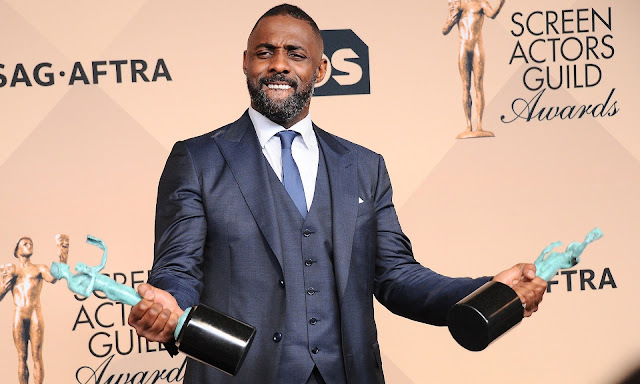 The 2016 SAG Awards hit a homer with diversity in its nominees, presenters and this year the winners. 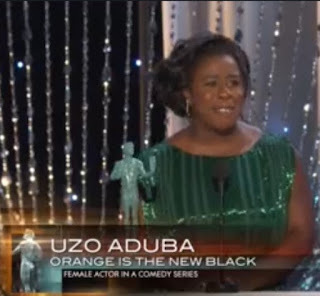 Although the Academy Awards may have some confusion as to what this mean, the SAG Awards got it very right this year. 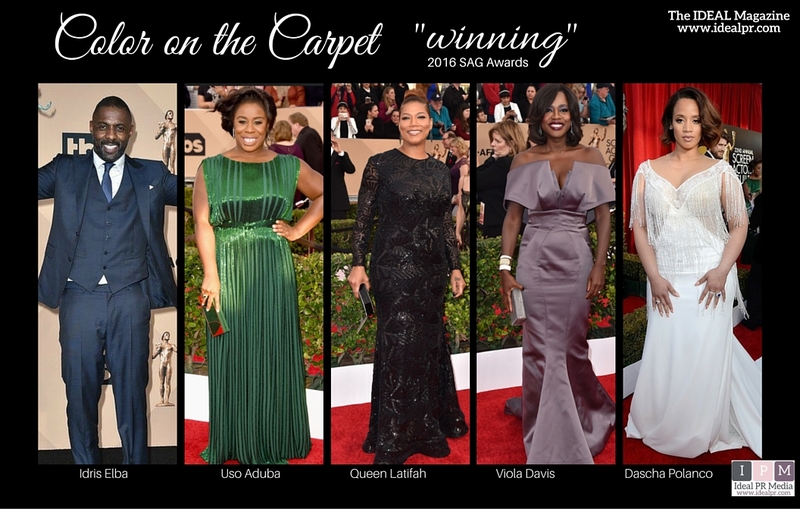 And thankfully, each beautiful brown winner got it right on the red carpet as well. 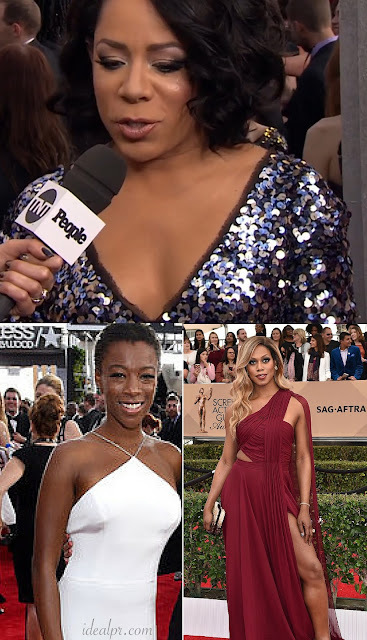 All of them were quite stunning in their choice apparel. 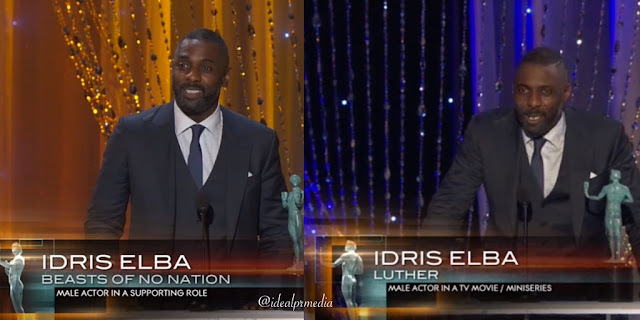 Idris Elba made history taking home the Best Male Actor award in both of the categories he was nominated for. 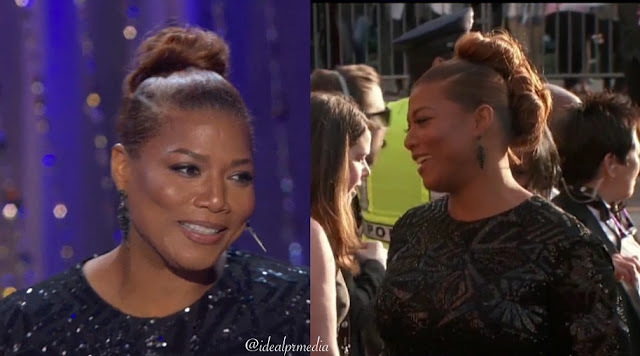 Queen Latifah won her second SAG Award for her performance in Bessie (the first was for Chicago). 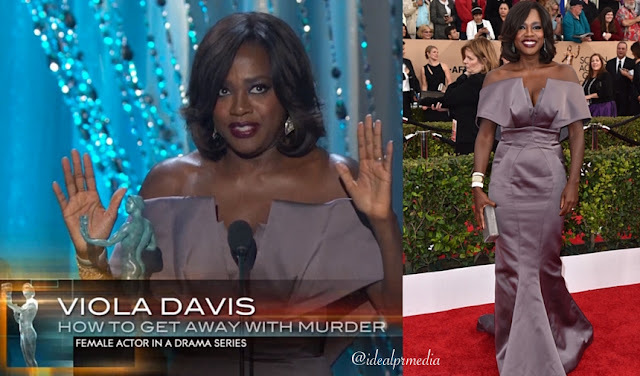 Viola Davis won Best Female Actor in a Drama Series for her performance in How to Get Away With Murder. 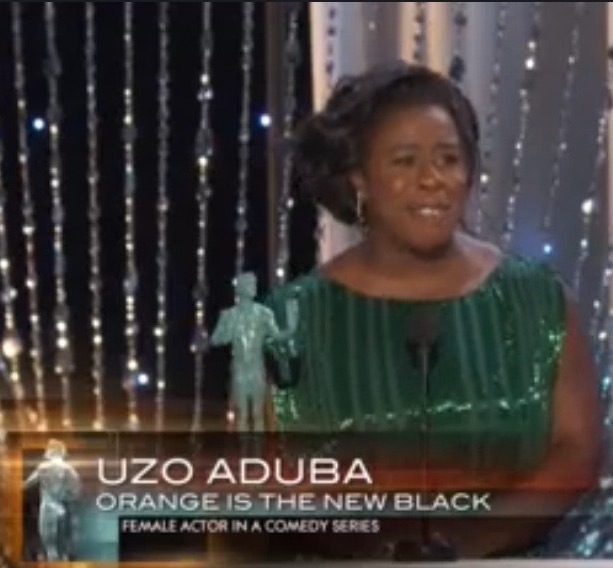 Uso Aduba took home both an individual award for Best Supporting Actress and a group award for The Orange is the New Black. 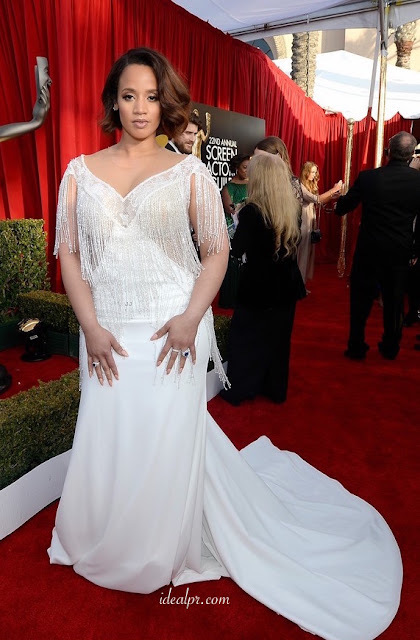 Dascha Polanco shared in the cast SAG award for Orange is the New Black along with Selenis Leyva (wish I had a full length photo of her in this stunning gown! ), Samira Wiley and Laverne Cox (who is very much the split image of Omarosa! 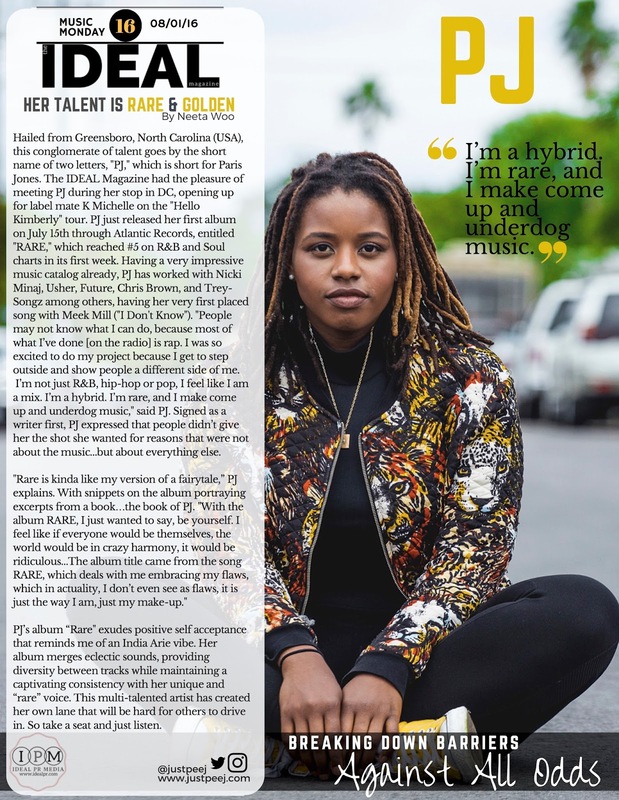 geesh). 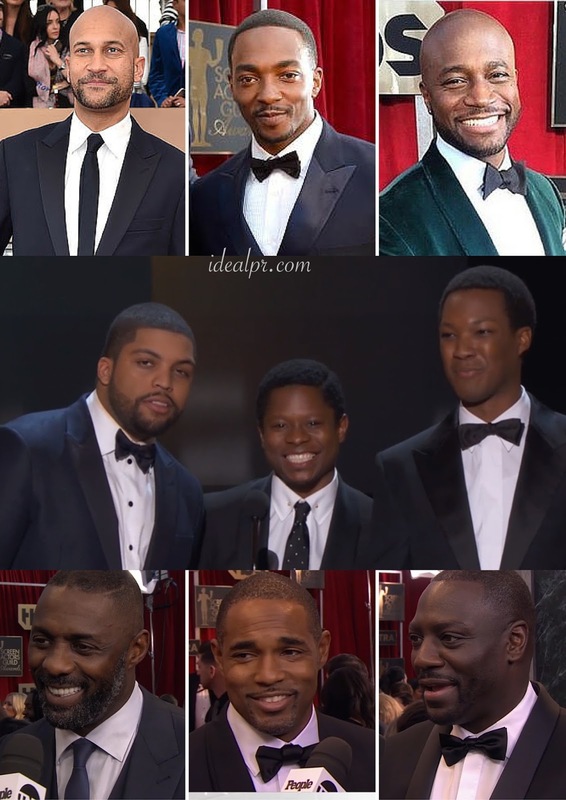 The men of color at the 2016 SAG Awards were all dashing! Including the entire cast of Straight Outta Compton Oshea Jackson Jr, Jason Mitchell, Anthony Mackie, Taye Diggs and Keegan-Michael Key of Key and Peele and all of the other chocolate men.